The Beyond Burgers can be hard to find because they are not in the ‘meat’ section, they are in the FROZEN section. 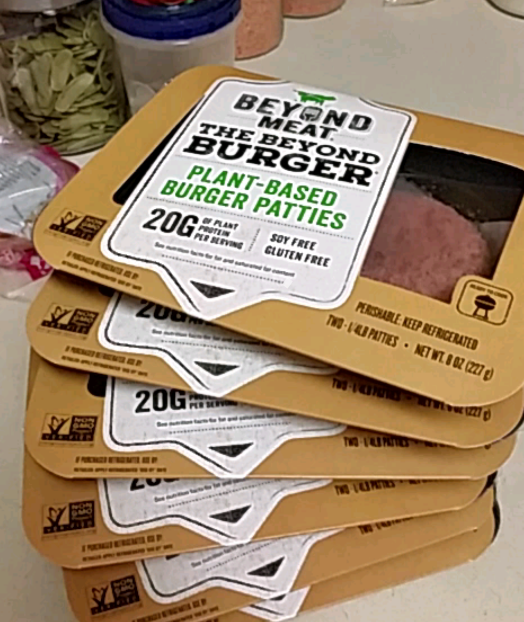 Pictured here are all of the Beyond Burgers we bought. The price was $4 each! It was too easy to buy them all because the supply was very limited. How good are these burgers? Well, we bought them all, so that should tell you something. You can flatten the burger before you cook it, so it is not as thick. It will be faster to cook this way. Someday soon Publix could have a whole aisle dedicated to vegan foods. Positive change in the world, what a great idea!